Conversation: Draft Transport Strategy Hearing additional data requested. Subject: Re: Draft Transport Strategy Hearing additional data requested. 13 – “it appears the cost of transport fuel will continue to rise for the foreseeable future. This is already having an effect on the way people are choosing to travel.”? If reliable supporting data is not available, then these unsubstantiated claims and resultant aim to spend $47 million on cycling infrastructure should be removed from the Draft. The deliberations have now finished. Kate has asked if you could please have the questions that you require to be answered be [sic] to staff by 12 noon on Sunday. The hearing is going to carry on at 1pm on Monday as Public Forum has now been cancelled. 30.8.13 Transport Strategy: Is this responsible local government? 29.8.13 The Don, imagines . . .
8.7.13 Bloody $tupid cycleways and Cull’s electioneering . . . The Otago Chamber of Commerce (COC) gets brownie points for taking a stick to Dunedin City Council and the politicised ‘sustainability crew’, this week… A crew primed with council staff, (spuriously-appointed) leadership and steering groups, university academics (with their little students in tow, aww) receiving substantial research funds into energy research, and the like; but let’s not forget the undue influence of Greater Dunedin and its two councillors, MacTavish and Wilson (paid $250 a day, was it? ), sitting on the strategy panel – who, having spruced up their images lately (cutesy dyed haircuts, necklaces and dresses in adornment – closely resembling the old ‘pearl and cardy set’), will find the clobber just too awkward for bike riding. It’s recognised the Chamber can’t hope to represent the wide breadth of Dunedinites – but it’s fair to say the Chamber’s focus and agendas (collectively and personally) are experienced as being unbearably narrow at times and slant at others – for example, its handling of the Dunedin harbourside plan change appeal, and its support for the new stadium (knife to the throat of Dunedin’s economy) and the proposed apartment and hotel development at 41 Wharf Street (cheap bling, with strings). All up, the Chamber is a mysterious if not loose male-order assembly of ‘business minds’. But don’t think the Chamber will accept more stupidity from your transportation planners and general managers controlling the whole (desktop) strategic exercise —or from the ‘mission’ of idealistic ‘non-business’ greenies who lack the commonsense, experience, resilience and determination of Dunedin companies (the ones who actually make the dollars happen! 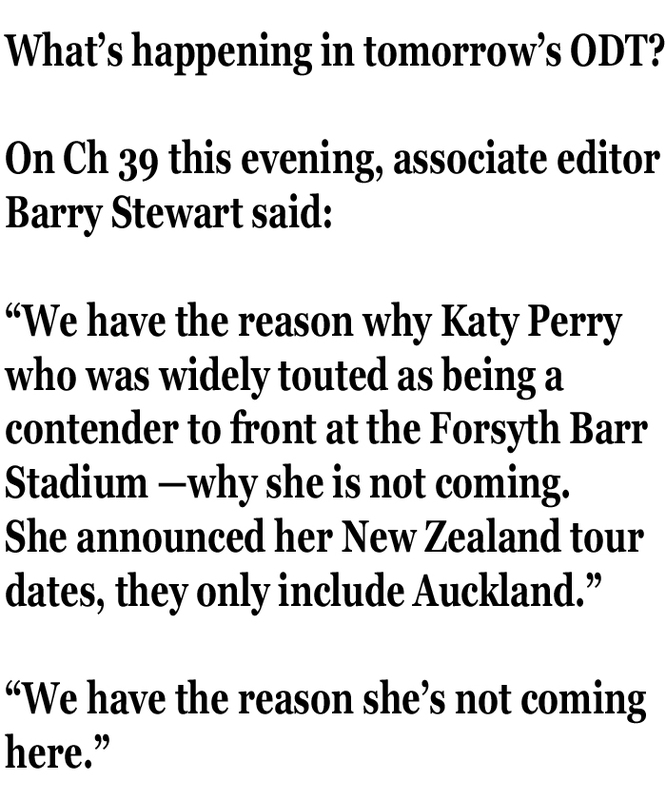 ), and which greenies will surely fail if pitted hard against Otago’s most successful export earners!! The Transport Strategy is not a statutory document – but where it attempts to flow into District Plan changes, well, let’s wait for all the costly appeals to Environment Court. The council can hardly afford more legal battles – it can’t fund the challenges it’s already immured by. The worst fear with the transport strategy revolves around pending changes to the Resource Management Act (RMA) which could see council-driven and developer-driven projects bulldozed through without public consultation; with few benefits to anyone or the environment, except to the proponents. The new legislation will mean even less accountability and transparency in local government than ever before – thanks to the National-led government. You know who to vote for in 2014. Do you know who to vote for in 2013? The Otago Chamber of Commerce has launched an attack on Dunedin’s draft transport strategy, saying it pushed a ”questionable agenda” of sustainability while ignoring major transport issues. 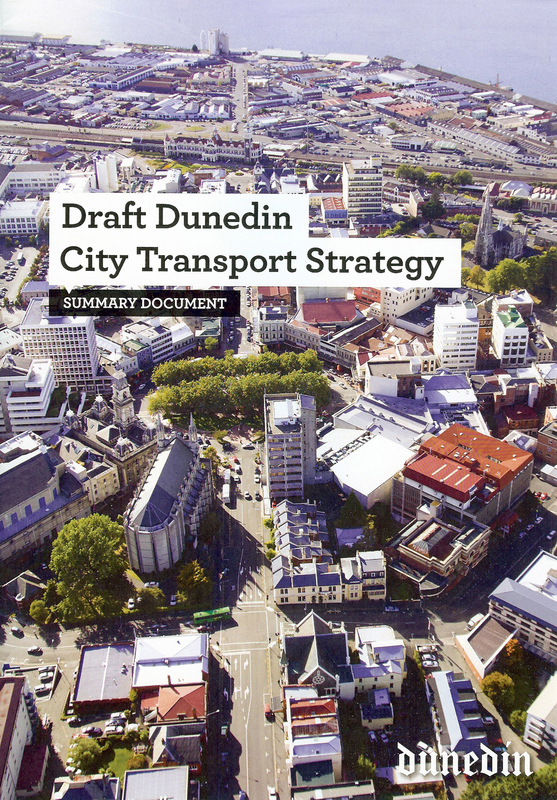 The strongly-worded rebuke came in the chamber’s submission on the Dunedin City Council’s draft strategy, presented on the first day of a two-day public hearing yesterday. However, Prof Herbert Harris, a member of the chamber’s logistics committee, also offered an olive branch at the hearing by suggesting a joint working party be formed to fix the document’s flaws. Prof Harris said the strategy was of ”major concern” because it ignored the inadequate arterial route through the city, a lack of commuter parking and the significance of the road link to Port Otago. The draft strategy sought to identify and address key transport challenges facing the city over the next 30 years, beginning with improving the city’s poor road safety record. Initiatives proposed included everything from a multimillion-dollar central-city upgrade, to improved cycleways, bus services and a new eastern freight bypass. Prof Harris said the strategy was of ”major concern” because it ignored the inadequate arterial route through the city, a lack of commuter parking and the significance of the road link to Port Otago. GREY AREAS… If you received this DRAFT Summary by post in late July, look no further than the grey back cover – it’s easier to read than the illegible and contrived contents, having about the same informational content. 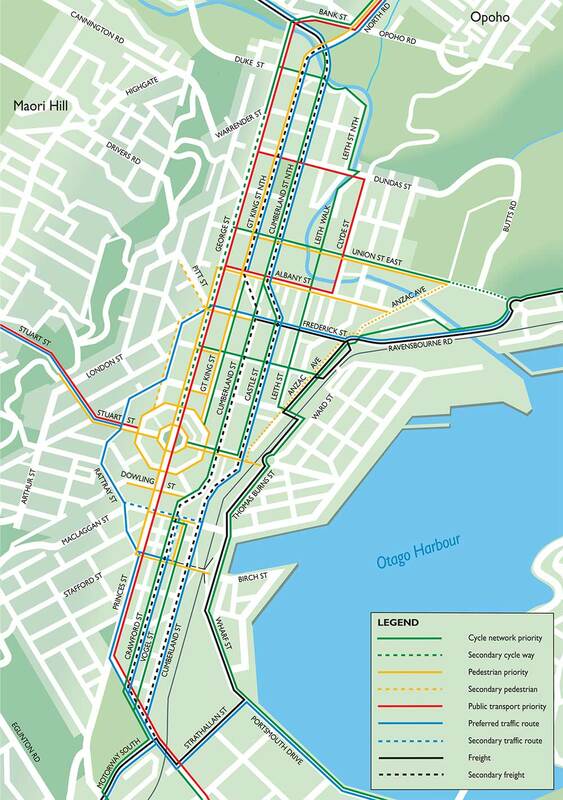 The Otago Regional Council says it will consider handing responsibility for public transport to the Dunedin City Council. Council transportation planning manager Sarah Connolly confirmed a report on the issue was being finalised, and the chief executives of both organisations, Paul Orders and Peter Bodeker, would be briefed within weeks. Councillors from both organisations were yet to see the report, but a decision on how to proceed would be decided after the briefing, she said. The news came two years after the Otago Daily Times reported the DCC and ORC were in talks about a possible transfer of the public transport network to the city council.